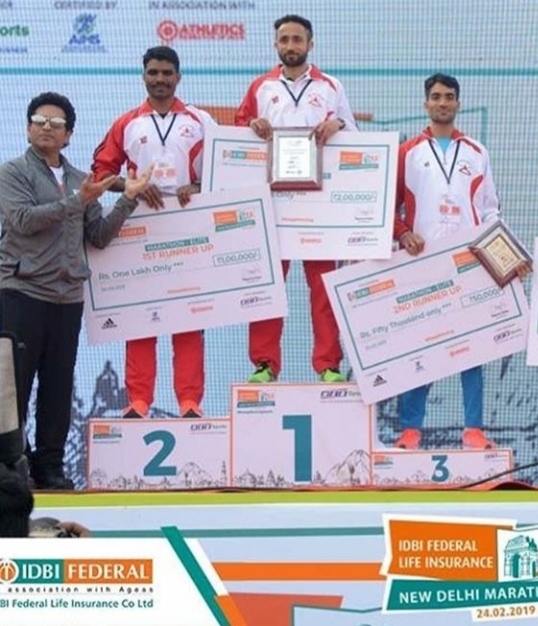 Rashpal Singh and Jyoti Gawate emerged winners in the men’s and women’s category of the fourth edition of the IDBI Federal Life Insurance New Delhi Marathon held on February 24, 2019. Both athletes competed in the elite section of the race. Rashpal Singh won with a timing of 2 hours 21 minutes and 55 seconds. 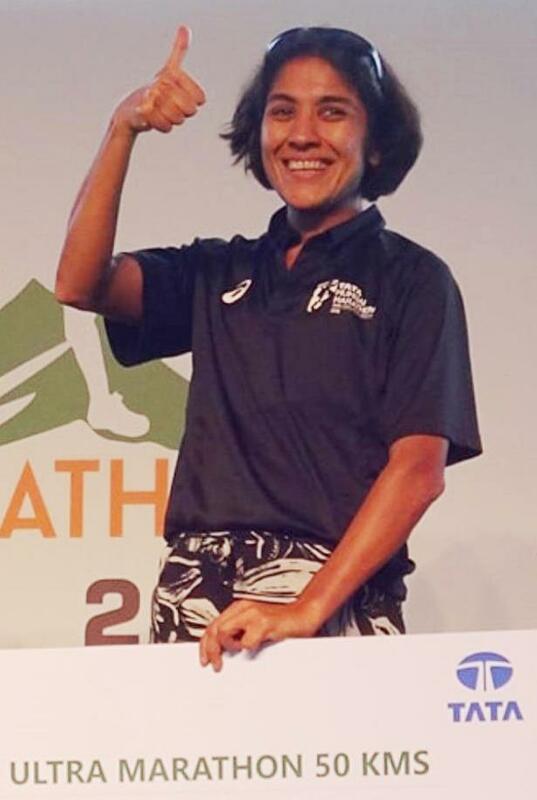 Jyoti finished first among women with a timing of 2:47:54, which is an improvement over her performance last year at the same event but short of the mark she had been hoping for. 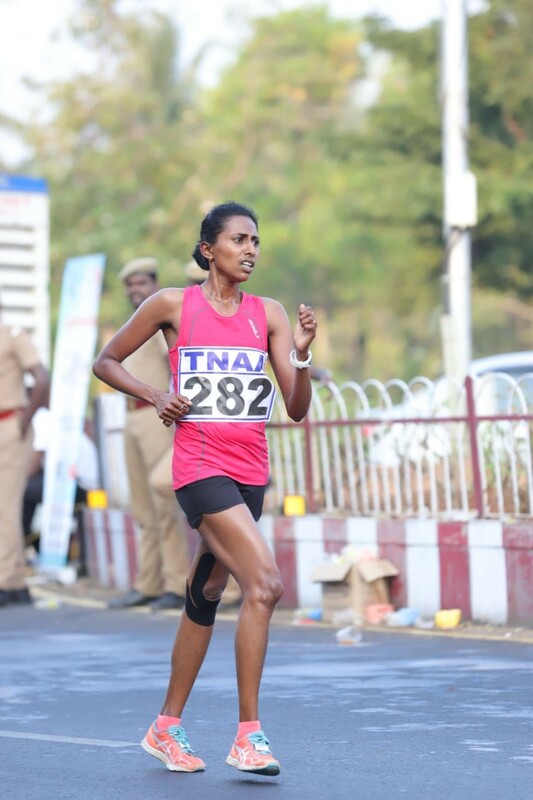 A consistent podium finisher in women’s marathon for the past several years, in January 2019, Jyoti had placed second among elite women at the Tata Mumbai Marathon (TMM). 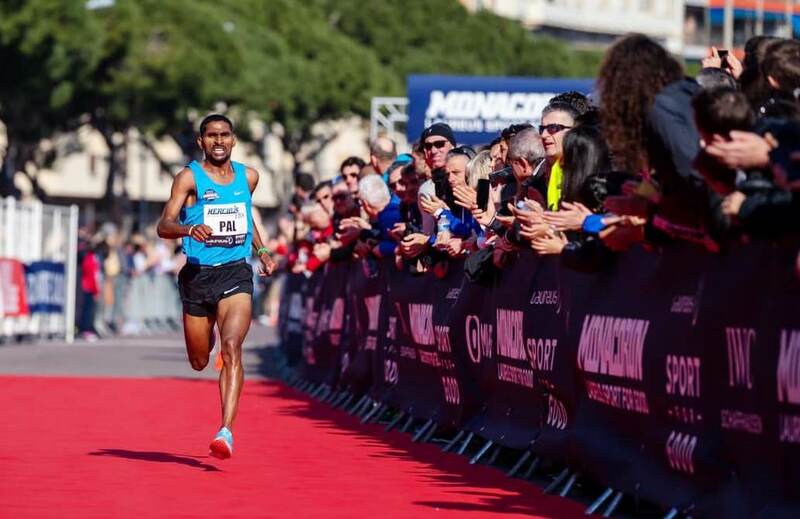 Among elite men, Sher Singh came second in New Delhi on Sunday with a timing of 2:23:16 followed by Manavendra Singh with a timing of 2:28:27. All the three podium finishers – including Rashpal Singh – train at the Army Sports Institute in Pune, news reports said. Jyoti, the winner among elite women, was hoped to improve upon her 2019 TMM timing of 2:45:42, in New Delhi. Unfortunately, that didn’t happen. “ There were too many turns this time on the route,’’ she told this blog Sunday evening. The route of the marathon in New Delhi was altered slightly this year. Nevertheless, she was happy with her performance as she had bettered her timing over the previous years in the same event. 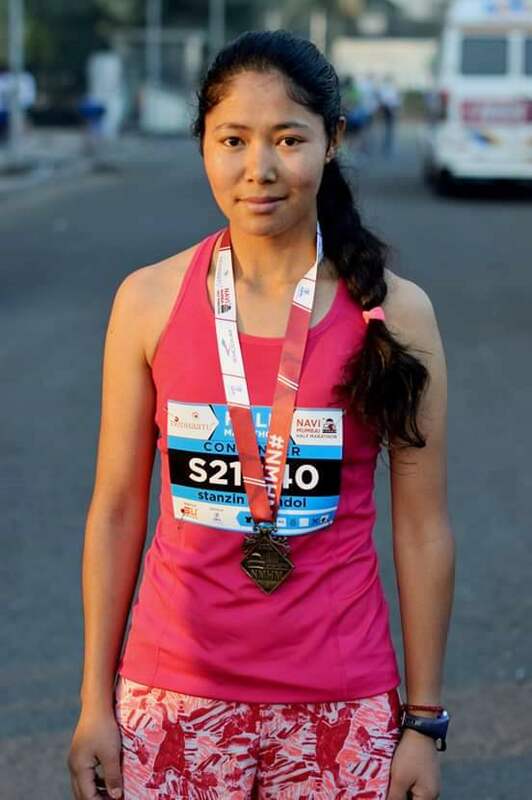 In the 2018 edition of the New Delhi Marathon, she had finished second with a timing of 2:50:11. The runner from Parbhani district of Maharashtra was hoping to improve her timing and get below the cut-off timing of 2:37 hours required for participation in the IAAF World Athletics Championships to be held in Doha, Qatar, later this year. “ I am happy with her performance in Delhi today,’’ Ravi Raskatla, Jyoti’s coach said. Jyoti had finished third in 2016, second in 2017 and 2018 and now secured first place in the 2019 edition of the event. Among elite women in the full marathon, Jigmet Dolma finished second (3:01:30) followed two seconds later by Tsetan Dolkar (3:01:32) who placed third. Both these athletes are from Ladakh and belong to the team supported by Rimo Expeditions; every winter they spend a few months competing at races in India’s big cities. In January, Jigmet had placed third among elite women at TMM. The timings returned by Jigmet and Tsetan in Delhi are noteworthy. Soon after TMM, in conversations with this blog in Mumbai, both runners had mentioned that their next objective is to progress towards sub three-hour timing in the full marathon. Sunday’s timing may not be there yet but it is close and importantly, a sizable improvement over the timing they registered in Mumbai. At 2019 TMM, Jigmet had finished in 3:10:36; Tsetan’s timing was 3:13:05. 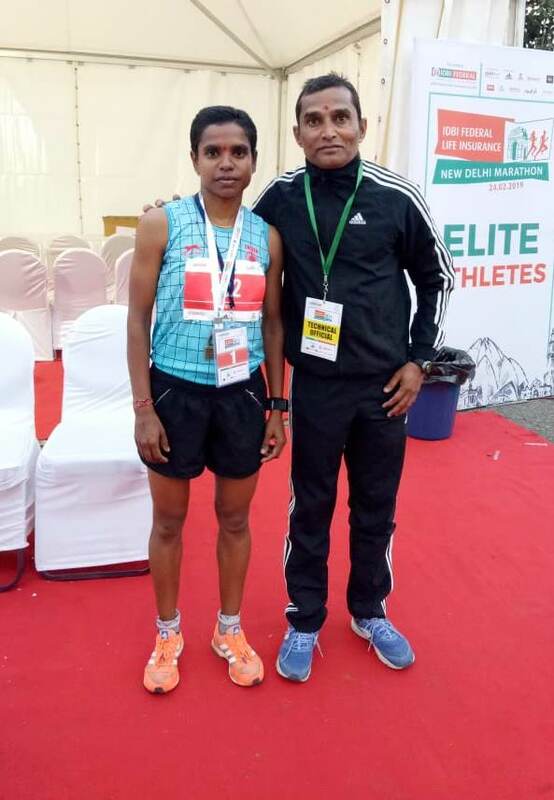 In the elite half marathon segment, Robin Singh finished first among men with a timing of 1:09:01; Jyoti Singh took top honours among women finishing the race in 1:22:12 hours. From the men’s category in the half marathon, Dipak Suhaug finished second (1:11:07) and Deepak Singh third (1:12:51). Among women, Ujala finished second (1:24:25) and Prabhawati Rawat third (1:34:26). Initiatives by running communities and well-wishers of running to support talent in the sport have contributed to podium finishes at domestic marathons. 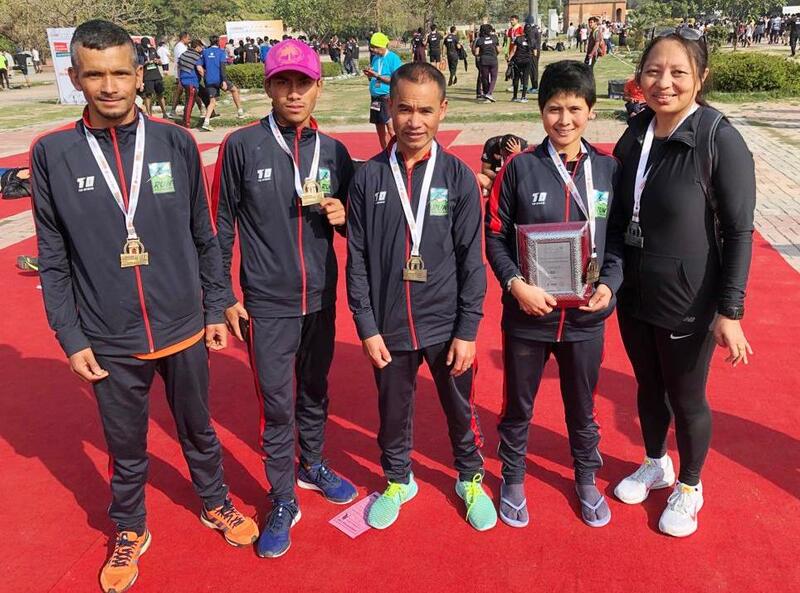 Rimo’s travel and training program for Ladakhi runners bore fruit in the half marathon segment of the New Delhi Marathon as well. 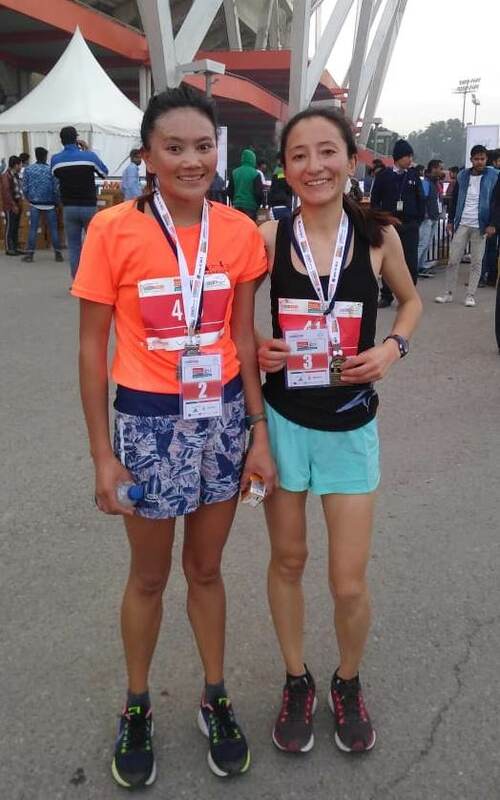 Tashi Ladol and Stanzin Chondol, who fetched podium finishes just days ago at the Navi Mumbai Half Marathon, finished second and third respectively among women in the half marathon segment (18-25 years age group) of the New Delhi Marathon. Tashi finished in 1:30:17; Stanzin in 1:31:20. Similarly, in New Delhi, the team from Run Meghalaya also had its share of podium finishes and near podium finishes. In the women’s elite category of the full marathon, Darishisha Iangjuh placed fourth with a timing of 3:23:45. Earlier in January, Darishisha had been a podium finisher in Mumbai; with a timing of 3:21:07 she had placed third overall among amateur women and second in her age category. In the 18-35 years age group of the full marathon for men, Kresstarjune Pathaw finished first in New Delhi; he completed the race in 2:36:44 hours. In the age group of 35-45 years for men, Tlanding Wahlang (2:34:57) placed first. At 2019 TMM, Tlanding had placed second overall among amateurs and first in his age category with a timing of 2:40:53. 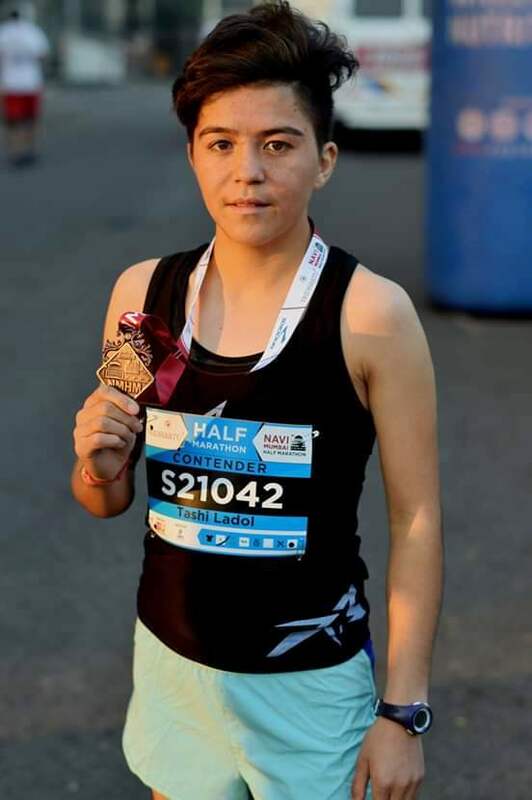 In the open category of the full marathon in New Delhi, among women in the 18-35 years age group, Swati Panchabuddhe (3:08:51) placed first; in second position was Divyanka Chaudhary (3:16:40) and in third, Kaylea Brase (3:23:47). In the same age group for men, Pramod Chahar (2:38:23) and Nanjundappa M (2:38:48) finished second and third respectively. In the age category of 35-45 years among men, second and third positions went to Manjit Singh (2:44:28) and Hemant (2:54:28). In the same age category, women podium finishers were Ranjini Gupta (3:35:05), Aradhana Reddy (3:35:16) and Payal Khanna (3:41:18). Thomas Bobby Philip (2:55:44), Murthy R.K (3:12:04) and Parag Dongre (3:15:07) were podium finishers among men in the age group of 45-55 years. Women podium finishers in the same age group were Nirupma Singh (3:40:30), Gurmeet Bhalla (3:52:46) and Ashima Mehra (4:01:07). As of Sunday night, the event’s results table posted on the web, showed only one podium finisher for the age group 40-45: Satyajit Joshi (4:38:26). In the age category 55 years and above, podium finishers among men were Ashok Nath (3:26:16), K.C Kothandapani (3:29:50) and Lachhman Singh (3:32:43). For women in that age group, there was only one podium position shown: Martha Corazzini (5:16:06). Sunday’s race was flagged off from New Delhi’s Jawaharlal Nehru Stadium by cricket legend Sachin Tendulkar. Anjali Saraogi and Deepak Bandbe took top honours in the 50 kilometer-race at Tata Ultra Marathon held February 24 in Lonavala. Kolkata-based Anjali covered the distance in four hours 22 minutes and 50 seconds while Mumbai’s Deepak crossed the finish line in 3:43:06. “ It was quite a tough race. Until 30k the course was along a road generally going uphill. After that for about 5-6 kilometers it was trail. Weather was not as cool as expected,’’ Deepak said. He was hoping to better the timing of last year’s winner in the 50k category, Srikant Yadav (3:38:59) but fell short. “ It was a very well organised event. Over the last five kilometers, there was hydration support for every kilometer,’’ Deepak said. “ Devendra, who finished second, was way ahead of me. I caught up with him at 40k and went past,” he said. Deepak decided to go easy in the early part of the race and that approach helped him. Devendra Singh finished second with a timing of 3:50:52. Jitesh Vishwakarma came in third in 3:51:43. “ It was a beautiful but tough course and a very well organised race. The run started at 2:30 AM. 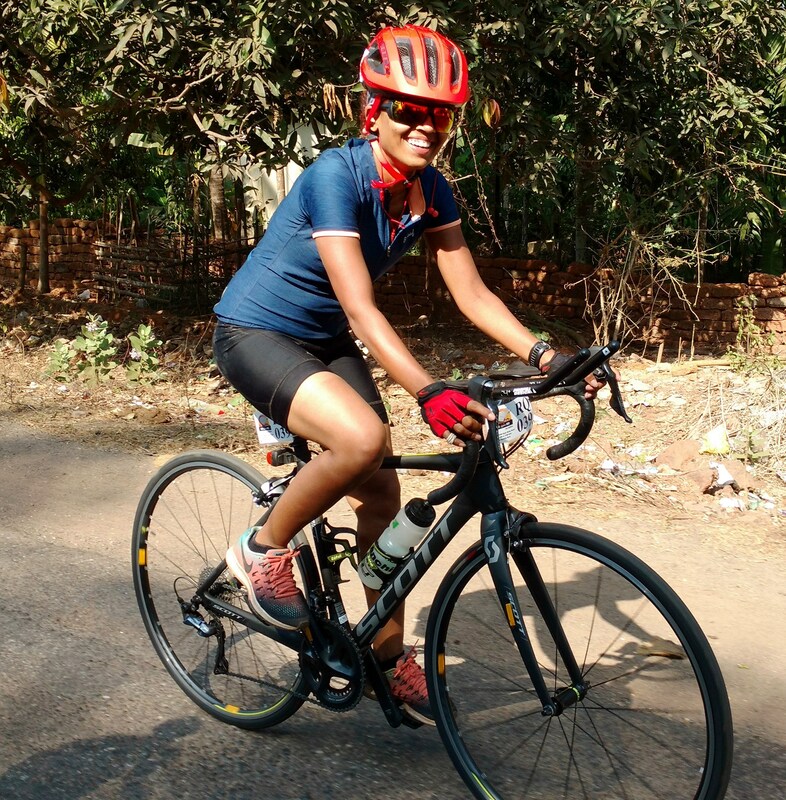 Being a woman it could have been scary running alone but there were bike-marshals through the entire course,” Anjali, winner among women in the 50k category, said. The youngsters manning the aid stations were well trained in handing out hydration. “ Such small details make a huge difference to the runners, especially in tough conditions,’’ Anjali said. She resorted to a walk-jog-run strategy as there were many uphill and downhill sections to negotiate along the 50k course, largely simulating the Comrades Marathon course. Tata Ultra is known to serve as training run for those attempting the ultramarathon in South Africa in June. “ The strategy here has to be different from running a marathon. I walked quite a lot as it was not possible to run some of the stretches, which were quite steep,’’ Anjali said adding that grit and mental strength are central to completing a race like Tata Ultra. Among women, Rajashri Tarihal came in second at 5:05:11. Preeti Lala (5:08:53) came in third. In the 35k race category, podium finishers among men were Tukaram More (2:20:37), Anil Korvi (2:28:10) and Kamlya Bhagat (2:30:44). Women podium finishers were Shailja Sridhar (3:19:44), Kavita Chand (3:32:20) and Monica Becerril Ugalde (3:35:19). “We finished the race together,” Dnyaneshwar, a resident of village Vikramgad Khand in Thane district said. According to him, the race went off very well. However, Dnyaneshwar’s best timing in a half marathon is 1:08 hours. At the Tridhaatu Navi Mumbai Half Marathon, Akshay Padwal finished third with a timing of 1:16:24. Runners from Ladakh took top honours among women. Tashi Ladol finished first with a timing of 1:28:12 hours followed by Stanzin Chondol, who crossed the finish line in 1:30:40. Both runners are from Ladakh, part of the group supported by Rimo Expeditions and visiting Mumbai every year in time for the annual Mumbai Marathon. In third position was Sayli Kupate with a timing of 1:31:57. British runner Susannah Gill set a new world record in the World Marathon Challenge early February 2019, completing the feat in 24 hours 19 minutes nine seconds to beat the previous record. The Challenge involves running seven marathons across seven continents in seven days. 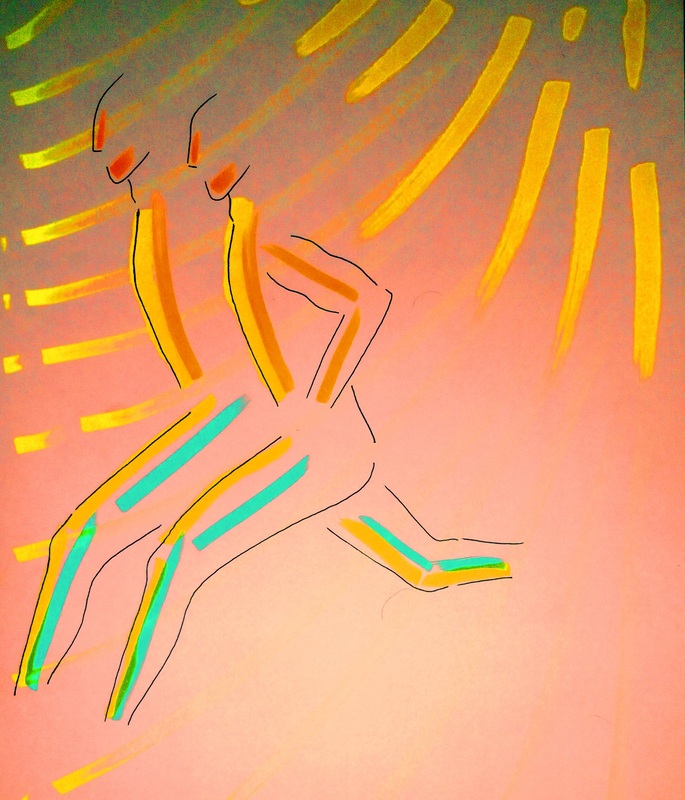 The last of the seven marathons was in Miami, Florida, where Susannah finished the race in 3:26:34 hours. Forty competitors participating in the World Marathon Challenge were flown around the world on chartered planes to complete the marathon distance on each continent. American runner Mike Wardian was the winner among men, in the Challenge. 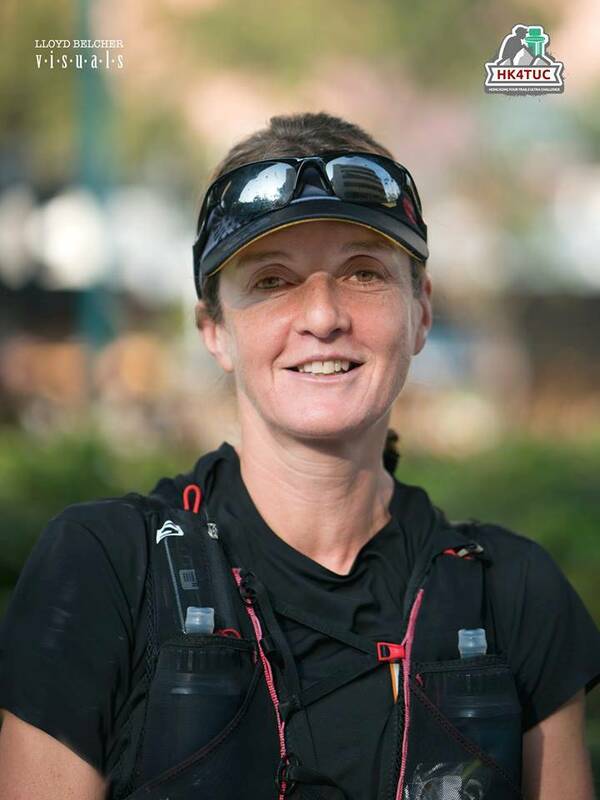 Nikki Han emerged the first ever woman finisher at the 2019 edition of Hong Kong Four Trails 298-kilometer Ultra Challenge. She covered the course in 58 hours 20 minutes. The Challenge entails running through four trails – Maclehose, Wilson, Hong Kong and Lantau – covering a distance of 298 kilometers. This is a self-supported run and participants are not allowed to carry hiking poles and walking sticks. Among men, Kristian Joergensen was the first to finish in a timing of 55 hours 52 minutes. 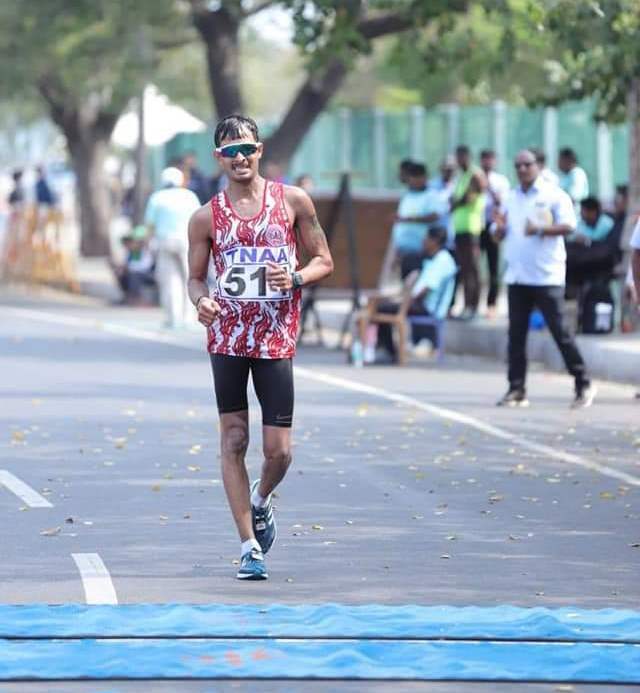 Mumbai’s Nihal Ahamad Baig was the first to finish among Indian participants at the Colombo 70.3 Half Ironman, held on February 24, 2019. Finishing the triathlon in four hours, 39 minutes and 17 seconds, Nihal ended thirteenth overall and third in his age category of 25 to 29 years. “ I had trained with a target of 4:35 hours. I lost some time in each of the three disciplines. 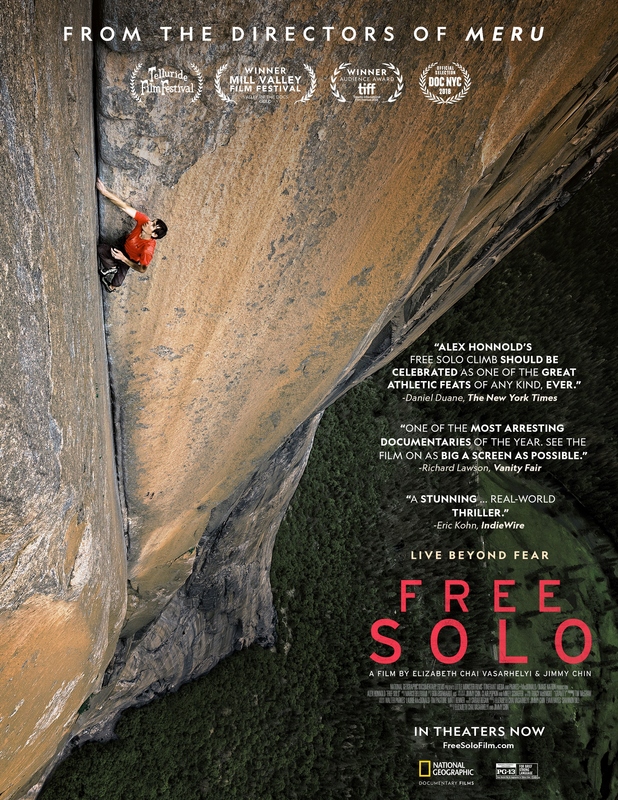 Nevertheless, I was able to improve my timing by five and a half minutes,’’ Nihal said. The swim in the sea and was slightly difficult as it was a bit choppy, he said. “ The cycling route was flat but there were three loops and during turns one had to slow down. By the time the run started it was 9:30 AM and it was hot and humid. After the halfway point I had to reduce my pace as the heat was too much,’’ Nihal said. He had finished the Bahrain 70.3 Ironman in December 2018 in 4:44:48 hours. 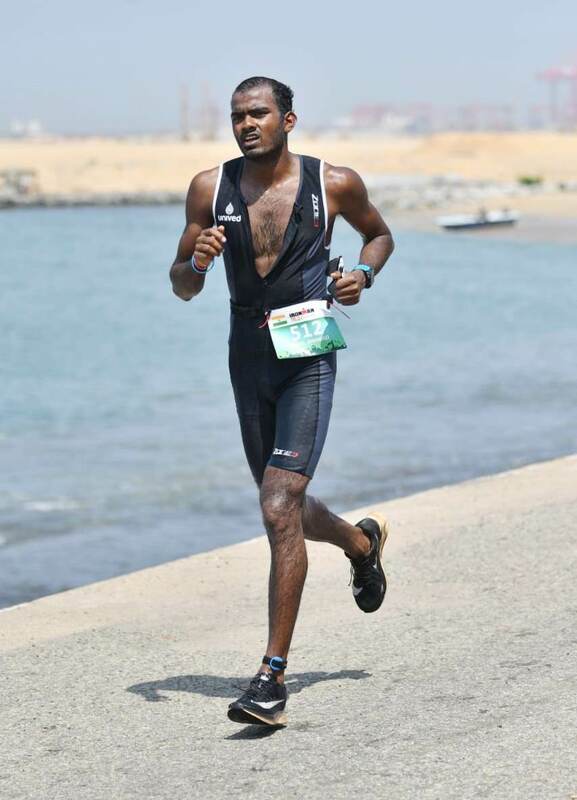 With his Colombo finish, Nihal has earned a slot for the World Championships Ironman 70.3 to be held in Nice, France in September 2019. 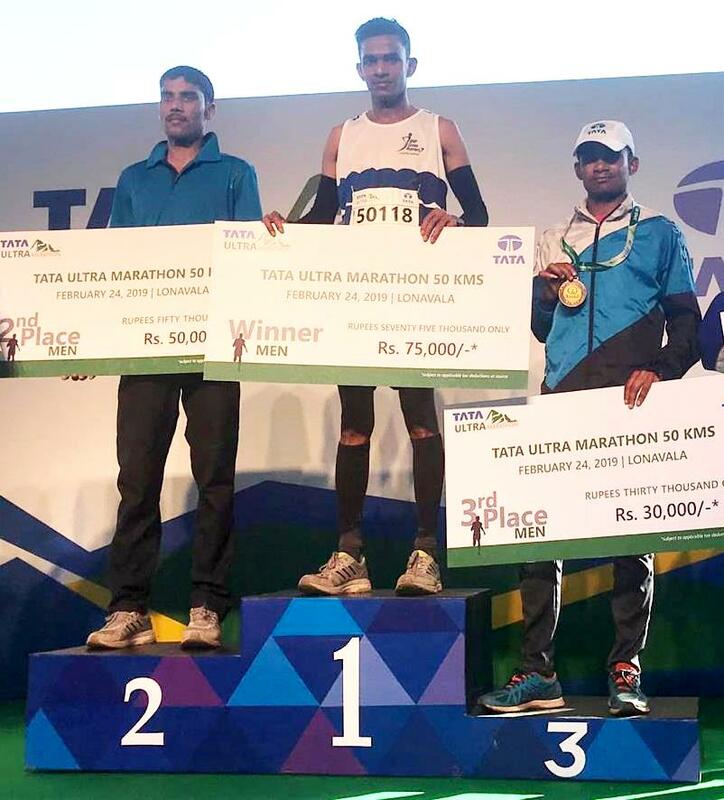 Earlier in January 2019, Nihal had placed ninth overall and second in his age category (18-24 years) in the full marathon at the annual Tata Mumbai Marathon (TMM). 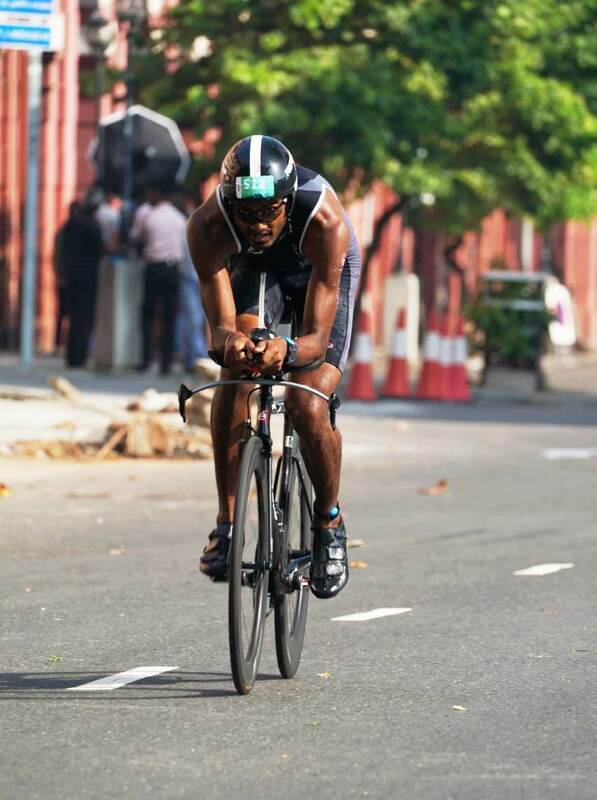 This time at Colombo 70.3, over 90 Indian triathletes participated, according to unofficial reports. Nisha Madgavkar from Goa also achieved a podium finish in her age category of 40-44 years with a timing of 5:44:41 hours. The overall winner of Colombo 70.3 was Olivier Godart with a finishing time of 4:05:06 hours. Godart hails from Luxembourg but lives in Dubai. Dinesh Kumar was winner in the half marathon distance at the seventh edition of Hiranandani Thane Half Marathon. He finished the race in 1:09:05 hours. In second position was Dinesh A, who completed the race in 1:09:28 hours, followed by Deepak Kumbhar in third place with a timing of 1:11:25 hours. Among women, Aarti Patil was the winner with a timing of 1:21:13 hours. She was followed by Saigeeta Naik (1:22:20) in second position and Manisha Salunkhe (1:26:07) in third position. In the 10k run, the winner was Dharmendra Yadav, who finished the race in 32:14 minutes. In second position was Adesh A with a timing of 32:19 minutes followed by Chandrakant Manwadkar (32:54). Among women in the 10k race Poonam Sonune (38:41 minutes) placed first followed by Varsha Bhavari (39:05) in second place and Rishu Singh (40:18) in third. Dutch athlete Sifan Hassan set a new world record for women at the Herculis 5 k race in Monaco on February 17, 2019. In the same race, Julien Wanders of Switzerland set a new world record for the men’s 5 k distance. Sifan Hassan crossed the finish line in 14:44 minutes improving the previous world record of 15:48 minutes. Britain’s Laura Weightman finished second in 15:29 minutes. According to details available on the website of the International Association of Athletics Federations (IAAF), Julien Wanders finished his 5k race in 13:29 minutes, improving a second from the previous world record of 13:29 minutes. In the same race, 22-year-old Abhishek Pal of India finished in fourth position with a timing of 14:04 minutes. On February 8, 2019, Julien Wanders had broken Mo Farah’s European half marathon record at the Ras Al Khaimah (RAK) half-marathon in United Arab Emirates. Julien finished in 59:13 minutes beating Mo Farah’s previous record by 21 seconds. At the 5k race in Monaco, Sondre Moen of Norway finished second with a timing of 13:37 minutes. The 5km road distance was introduced as a world record event in November 2017, with the inaugural record to be recognized after 1 January 2018 if the performances were equal to or better than 13:10 for men and 14:45 for women. If no such performances were achieved in 2018, the best performances of 2018 were to be recognized on 1 January 2019. 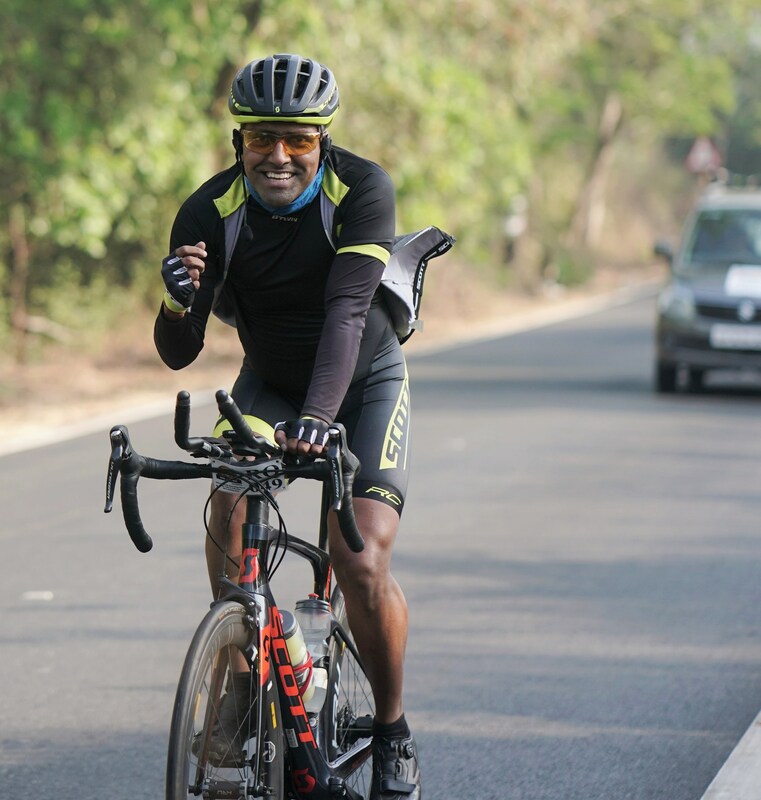 Lt Col Bharat Pannu set a new course record in the 1780-kilometer solo category of the 2019 edition of Ultra Spice, the annual ultra-cycling event organized by Inspire India. The race spans Goa-Ooty-Goa. Bharat completed the race that commenced and ended at Bogmalo Beach, Goa, in 95 hours 47 minutes, breaking the previous record set by Col Srinivas Gokulnath. Ultra Spice is a composite of three distances – 1750 km, 1000 km and 600 km – all starting and finishing in Bogmalo, Goa. It has both solo and relay team categories. Racers must have support vehicle and crew. In the 1750 km and 1000 km categories, two support vehicles with a minimum of two drivers in each vehicle, is mandatory. Solo racers, who finish within stipulated time, qualify for Race Across America (RAAM), the ultra-cycling event held every year in the US featuring a ride from the country’s west coast to the east. Kabir Rachure from Navi Mumbai placed second in the 1780 km solo category this year with a timing of 100 hours 46 minutes. The cut-off for this category is 120 hours. Karthik Padmanabhan finished third with a timing of 119 hours 22 minutes. Ila Patil was the first and only woman participant to finish the 1780 km race. She finished the race in 137 hours 17 minutes, outside the cut-off timing of 128 hours. 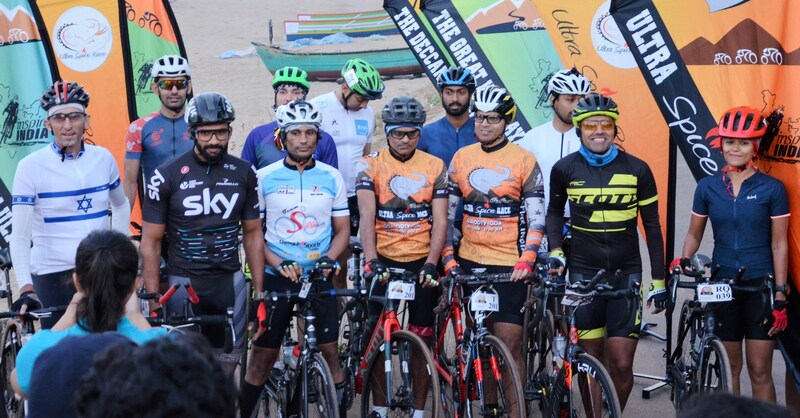 In the two-person team category for the distance of 1780 km, the winner was Team Pedal Demons comprising Adesh Kale and Dhanraj Helambe. They finished in 85 hours 24 hours, well within the cut-off timing of 96 hours. Mayank Tripathi won the 1000 km solo category finishing the race in 54 hours 32 minutes within the cut-off timing of 56 hours. Team Gear and Beer comprising Kaustubh Dandekar and Rohit Dandekar won the two-person team category finishing the race in 47 hours 45 minutes within the cut-off timing of 48 hours. In the solo men’s 600 km race, Shlomi Kot won in the age category of 50 years and above, finishing in 27 hours 25 minutes against the cut-off time of 32 hours. Vivek Shah finished the race for solo men in age group of 18-49 years in 29 hours four minutes against the cut-off timing of 30 hours. This photo was downloaded from the Facebook page of Delirious W.E.S.T (Breeze; front row, third from right). No copyright infringement intended. At the time of writing, the first edition of Australia’s 200 mile-ultramarathon, Delirious W.E.S.T, was going on. 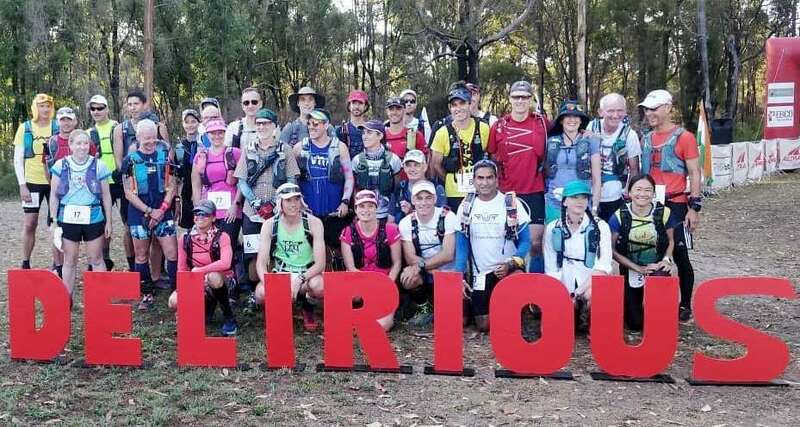 The course of this ultramarathon is entirely on the Bibbulmun Track in the South West and Great Southern regions of Western Australia, from Northcliffe to Albany. The event commenced on February 20, 2019 and was due to end at 3 PM on February 24 with a 104 hour cut-off. India’s Breeze Sharma (Brijmohan Sharma), mountaineer and ultra-runner, was among 43 participants at the inaugural edition. The event’s course is through forests, coastal scrub, beaches and along the Bibbulmun track. At the time of writing, Breeze Sharma had covered over 286 kilometers. Update: As per results available on the Delirious W.E.S.T Facebook page, Breeze Sharma completed the ultramarathon in 95 hours 39 minutes. 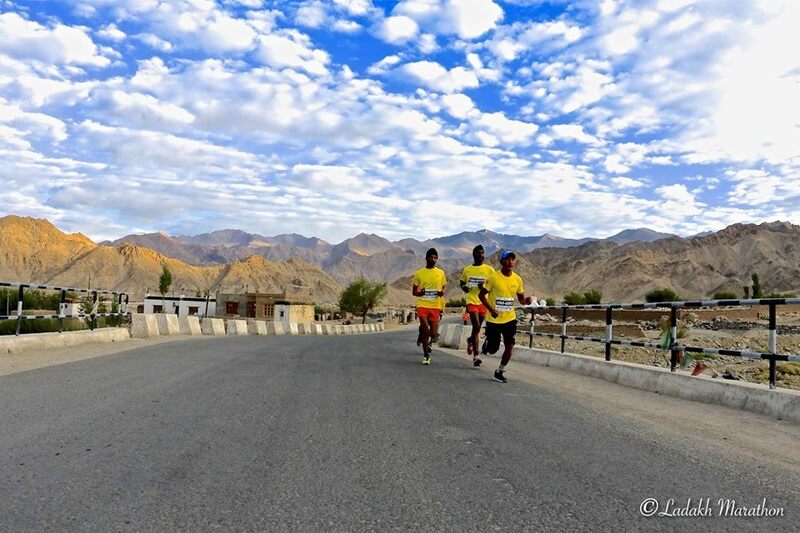 This photo was downloaded from the Facebook page of Ladakh Marathon. The 2019 edition of the Ladakh Marathon will feature changes with regard to hydration. The annual marathon straddles two sub events: a marathon including the half marathon and races of shorter distances; and the Khardung La Challenge, which is an ultramarathon. The event is a full member of the Association of International Marathons and Distance Races (AIMS) since 2015. Ladakh is an environmentally sensitive destination. Organizers feel that the routine practice at marathons of runners helping themselves to bottled water – which the Ladakh Marathon too followed till now – is not sustainable. So far, they have shipped out discarded bottles. 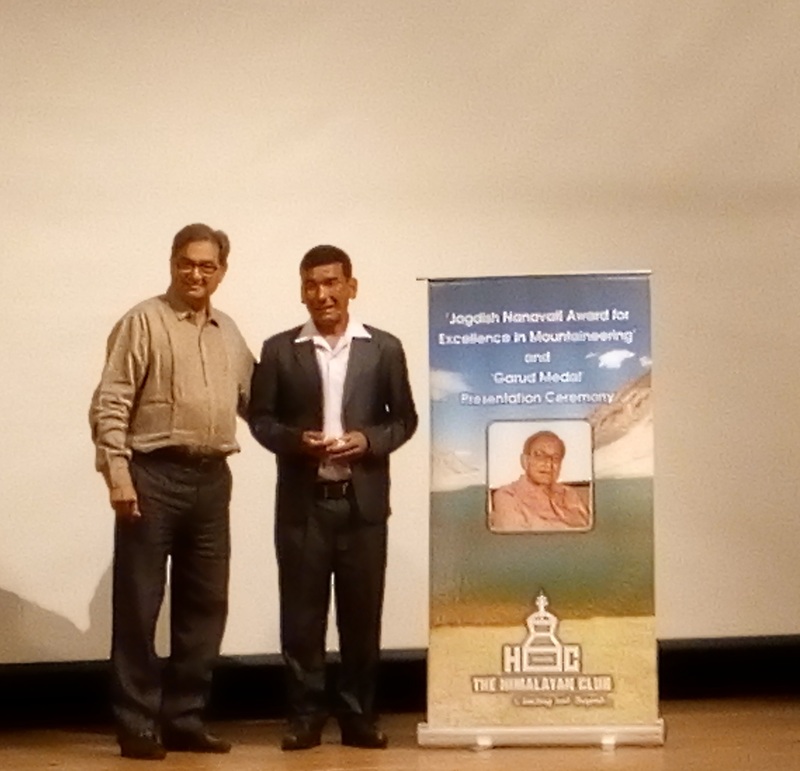 “ This year for the Khardung La Challenge we are definitely not going to provide bottled water along the route,’’ Chewang Motup, owner of Rimo Expeditions, organizers of the Ladakh Marathon, told this blog recently. According to him, the paradigm of hydration for the full marathon and other shorter distances are being studied with a view to make the event environment friendly. He indicated that runners may be asked to bring their own bottles or hydration gear of choice. Instead of the traditional practice of handing out bottled water at aid stations, race organizers may provide facilities to refill. “ We may be able to give a hint of what to expect by the time registration for the event opens this year. The practical details could take a little longer to work out because the act of refilling must also be as efficient as possible,’’ Motup said. He added that organizers were however already resolved that hydration for Khardung La Challenge should shift from bottled water to refilling. Motup hopes that runners will understand the larger need for this shift and accommodate any impact on timing the new practice may cause. As it is, thanks to challenges posed by altitude, timing at the Ladakh Marathon is rarely a personal best (PB) for those coming from outside. 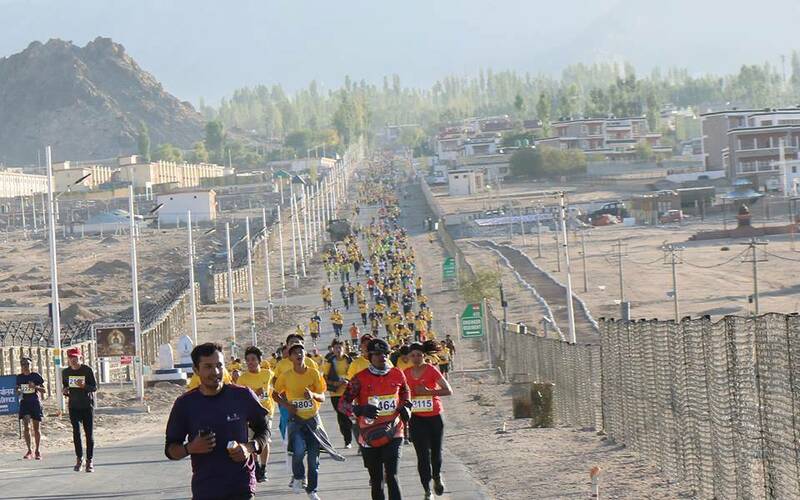 The event’s USP is opportunity to run a marathon in Ladakh, a high altitude destination characterized by unique landscape. That being so, pausing to refill water in one’s personal bottle should sit well with runners, the organizers reason. Incidentally, their attention is not merely on hydration. There is also the issue of food packaging and wrappers discarded by participants. “ We are looking into that. It too needs to be addressed,’’ Motup said. The Ladakh Marathon started in 2012. The event’s first edition attracted some 1500 participants. In 2018, the figure was 6000. The event calls itself the world’s highest marathon; between the main marathon and ultramarathon over Khardung La, altitude on the course ranges from 11,500 feet to 17,618 feet. Runners arriving from outside Ladakh are told to reach Leh a week to 10 days before the marathon so that they get properly acclimatized. Ladakh is beyond the main axis of the Himalaya. Although climate change and its associated vagaries in weather have impacted Ladakh too, traditionally the Himalaya cuts off monsoon clouds from the south rendering much of Ladakh a rain-shadow region. The region’s landscape is that of a high altitude cold desert. Organizing the annual marathon is not an easy job, Motup said. The organizers have to make sure that participants take acclimatization and acclimatization schedules seriously. Many of the materials required for conducting the event have to be brought in from the outside world. In the case of stuff that is discarded after use – packaged water being an example – it has to be trucked out for proper disposal and recycling. These tasks are easily done in big cities which have resident facilities for recycling. Ladakh in comparison is not only environmentally sensitive, its location, distance from the plains and mountainous access can complicate logistics. Further, unlike in the cities, where event-related services are easily outsourced, in Ladakh, the organizers and their team of volunteers have to do the bulk of the work themselves. The IAAF Global Running Conference scheduled over May 31-June 1 at Lanzhou in China will have among key themes for discussion: the economic, social and environmental impact of road races. More than 600 attendees representing much of the international road race industry are expected to take part. China is the world’s fastest growing market for recreational running. Against 22 sanctioned road races in China in 2011, there were 1100 in 2017. During the same period, participation grew from 400,000 to more than five million, a statement on the conference available on the website of the International Association of Athletics Federations (IAAF), said. According to it, the conference will discuss subjects including the growth of the marathon tourism industry, creation of running cultures in cities, economic benefits of organizing events and best practices for organizing them in environmentally sustainable ways. Jen Jakob Andersen, founder and CEO of RunRepeat.com, will deliver the opening address at the conference. He will present a report on the current state of running drawn largely from a research comparing marathon performances across nations. “ The study by Andersen and his team is the largest of its kind ever produced,’’ the IAAF noted, providing alongside a link to RunRepeat.com and abstracts from the study. The study centered on recreational runners’ performance from 72 marathons over 2009-2014 – basically six editions of 12 events. The data base analyzed spanned 2,195,588 results; the study had Andersen as lead researcher and was funded by RunRepeat.com. “ On average marathon runners are being slower,’’ RunRepeat noted on its page hosting this study focused on recreational runners and restricted to multiple editions of a pool of select races. The project looked into results from six editions of the following marathons: Chicago, Marine, Boston, London, Paris, Berlin, Frankfurt, Athens, Amsterdam, Budapest, Warszawa and Madrid. Results of elite athletes were not studied; the focus was on recreational runners. Results of nations with less than 100 results were not considered. Also omitted were results from countries having less than 10 men and 10 women in each of the years studied. Only events with results for all the six years and mention of athletes’ gender alongside were accepted for study. Over 2009-2014, within the database analyzed, the average time taken to complete a full marathon was four hours, 22 minutes and five seconds. For 2014 alone, the figure was four hours, 21 minutes and 21 seconds. Over the six years (2009-2014), the average time for men was 4:13:23 and that for women, 4:42:33 (29.10 minutes slower), RunRepeat said on its website. At 3:55:35, Spain had the fastest average time. Looked annually, Spain was fastest in 2011, 2012 and 2013. In 2014, runners from Iceland topped. Out of 47 countries listed so India was ranked 46 with average time at 5:03:41. Interestingly at number 45 was Japan (4:40:14), a country strongly associated with the marathon and ultramarathon. The US (4:29:31) was placed 30, while the UK (4:32:24) was ranked 41. Among men, the fastest average time was from Iceland (3:52:01); the slowest was from India (5:00:34). At 5:27:04, Indian women were slowest in their gender category topped again by Iceland (4:18:29). Over the six years studied Iceland, Philippines and Singapore showed the greatest improvement in average finish time in the men’s category. In the women’s category, India, Germany and Finland were the nations improving the most. With an improvement of two minutes 39 seconds overall, India was ranked 18 in the improvement list topped by Iceland (23 minutes 47 seconds). The country registering least improvement was China; the average time of recreational runners from China at these events got slower by 33 minutes 38 seconds. On the other hand, if you judge growth in popularity of marathon running from the database studied, then China was placed second with a growth of 259.47 per cent; it followed Russia at 300 per cent. Corresponding growth from India was 154.78 per cent. Participation from Asia grew by 92.43 per cent; that of men therein at 90.40 per cent and women, 97.80 per cent. Europe grew slower than the rest of the world with a growth of only 10.30 per cent. In the database studied, it was observed that participation overall had increased by 13.25 per cent with enrollment of women up by 26.90 per cent compared to 7.8 per cent for men. The average distribution of women marathon runners in the numbers was 29.76 per cent; North America had the highest representation of women in running at 44.67 per cent followed by Asia (27.86 per cent), South America (26.26 per cent) and Europe (21.99 per cent). USA was the most gender equal marathon nation. Of 47 countries featured in the study, India ranked 43 as regards gender parity with its women participants at the races studied estimated at 11.76 per cent. This blog would like to point out that 2014 is now almost five years in the past. Additionally, while one definitely needs to qualify for some of the marathons overseas, participation is dependent on ability to fund and in developing economies like India, talent for sports and deep pockets (to travel and run) don’t always manifest in the same individual. Not all recreational runners who make the cut in terms of performance reach the start line abroad. On the other hand, those who can afford will, including by means other than qualifying like availing charity bibs. The Sixth National Open Race Walking Championships held over February 16-17 in Chennai was to serve as platform for Indian athletes to meet the qualifying time for the IAAF World Athletics Championships due later this year in Doha, Qatar. However, none of them made the cut. At the just concluded event in Chennai, Jitendra Singh Rathore of Rajasthan was the winner in men’s 50km race walk. He finished the race in 4:23:23 hours to secure the gold medal, ahead of Sagar Joshi of Gujarat. Sagar finished the race in 4:24:21, earning the silver medal. Haryana’s Pawan Kumar took the bronze with a timing of 4:30:49 hours, the results posted on AFI’s website said. The men’s 20km race walk was keenly contested. Kerala’s Irfan K.T took the gold covering the distance in 1:26:18. Second place went to Devender Singh of Haryana (1:26:19) while Sandeep Kumar (1:26:19), also of Haryana, finished third. It was photo finish for Devender and Sandeep. Tamil Nadu’s Ganapathi Krishnan (1:26:20) missed the podium by a whisker. While informing the results, the AFI statement of February 16 quoted Irfan as being disappointed that his effort wasn’t good enough to qualify for the world championships. He intends to try again next month at the Asian Race Walking Championships to be held in Japan. This was the third consecutive triumph for Irfan in the discipline at the national championships. The women’s 20km race walk was won by Soumya Baby of Kerala who clocked 1:40:25. This was well short of her national record – 1:31:29 set in February last year. Uttar Pradesh’s Priyanka finished second in 1:41:20 while the bronze medal was picked up by Haryana’s Ravina who finished in 1:41:46. A statement from the Athletics Federation of India (AFI) on February 15 had pointed out that the qualification standard (for Doha) in the men’s 20km race walk stood at 1:22:30 (hours, minutes and seconds respectively) while the mark in the men’s 50km race was 3:59:00. The qualification standard in the women’s 20km race was set at 1:33:30. The IAAF World Athletics Championships is scheduled to be held in Doha in September-October this year. 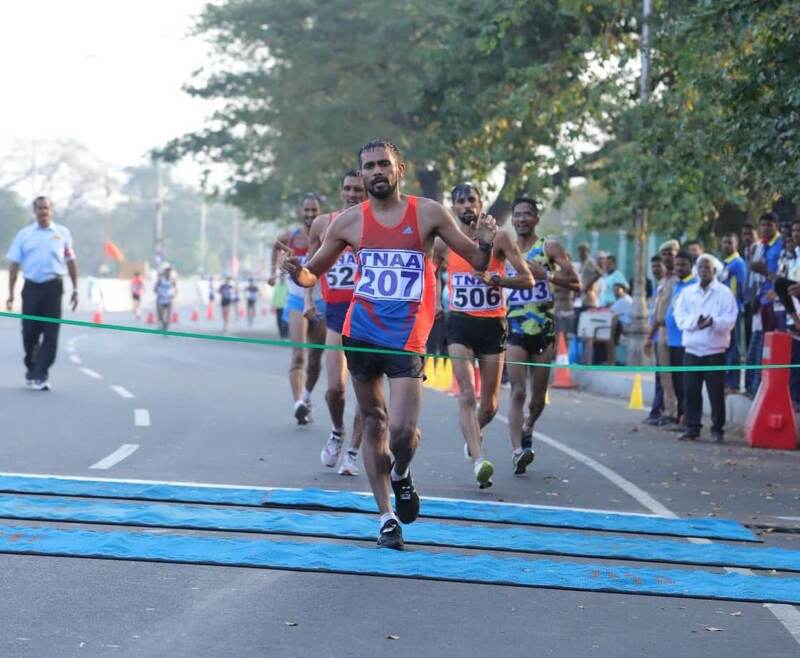 According to race walkers this blog spoke to, Chennai’s heat and humidity took a toll on their performance. “ The race was good but the heat was too much,’’ Jitendra, the gold medalist in 50km, said when contacted. 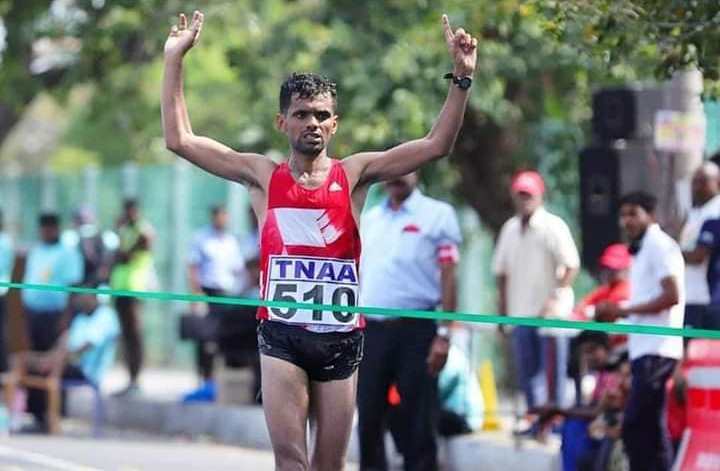 His personal best is 3:58:56 hours, which he set in the National Open Race Walking Championships in New Delhi in 2018. “ The race was tough because of the heat as well as the humidity. Normally this competition is held in Delhi or Jaipur where the weather at this time is conducive for good performance,’’ Sagar, who won silver, told this blog. His had trained for this competition with a targeted timing of 3:56 hours. 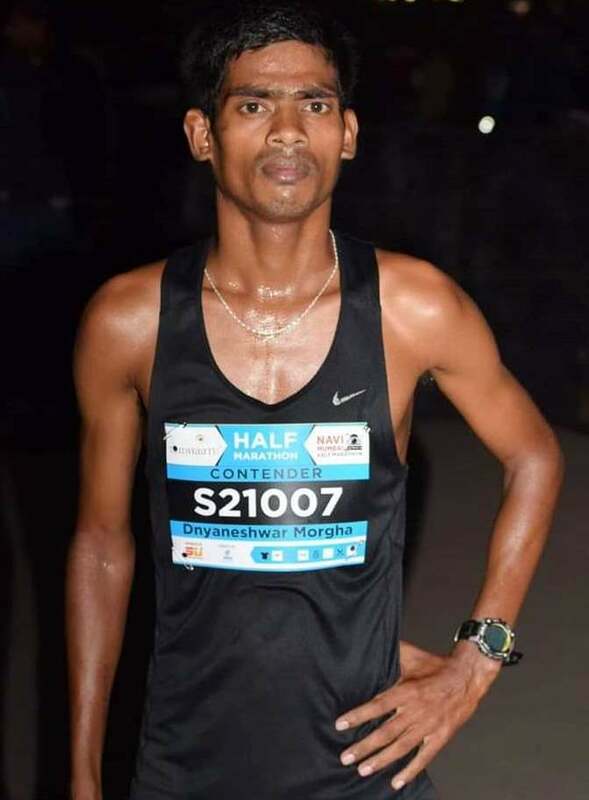 Haryana’s Sandeep Kumar, who holds the national record of 3:55:59 in the 50km race walk, set at the Indian Race Walking Championships last year, did not start the contest in that discipline, the table of results from Chennai showed. Also DNS (Did Not Start) in the 20km race walk was Manish Singh Rawat of Uttar Pradesh. Jitendra and Sagar, both of them from the Indian Army, train at the Army Sports Institute in Pune. Following the Chennai event, they headed back to Pune. According to Sagar, while it is for the AFI to take a call on sending them to the upcoming meet in Japan, as back-up plan, the athletes’ coach Basanta Bahadur Rana has suggested the option of requesting the army to send them to Japan. Basanta Bahadur Rana had represented India in race walking at the 2012 London Olympics. At the Chennai meet, Suraj Panwar of Uttarakhand won the gold medal in the boys’ 10 km race clocking a time of 43.19 minutes. Haryana’s Juned won the silver with a timing of 43.32 minutes. The bronze medal went to Farman Ali of Uttar Pradesh; he finished in 44.50 minutes. Among girls, Roji Patel of Uttarakhand secured gold in the 10 km race. She finished the race in 53.38 minutes. Suvarna Kapase of Madhya Pradesh secured silver with a time of 55.36 minutes and Punjab’s Gurpreet Kaur got the bronze with a time of 57.00 minutes.